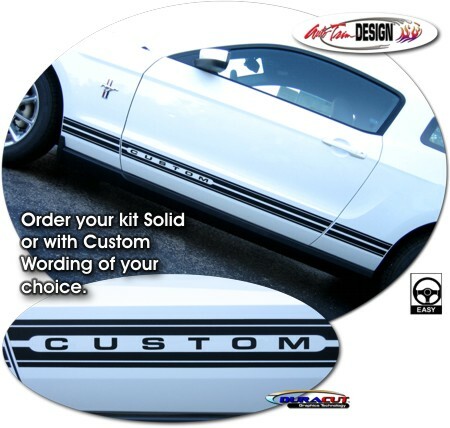 Choose from a graphic with solid continuous lines or customize it as shown with unique wording. Simply enter the Custom Wording of your choice (up to seven  letters/digits/spaces) and we'll make it happen. Either way it'll look Terrific!